InspectionXpert OnDemand for CAD continues to be easier to use and offers more flexibility and options for customizing each project. This Service Pack Release (“SP06”) is our 6th major upgrade for this product in 2015, and offers our clients 4 powerful new features and capabilities in addition to a wide variety of other fixes and improvements. OCR BOM & BOS (Form 1 & 2) data from PDF - Users can import data from Bill of Material or Bill of Specifications documents stored in PDF format. 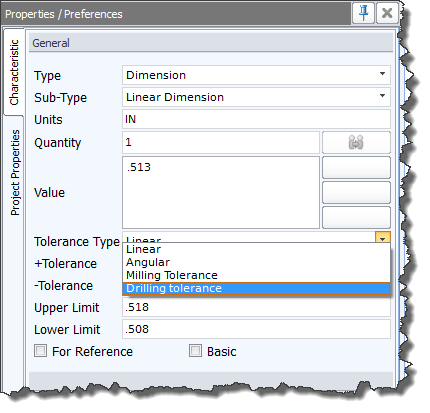 Multiple Default tolerances - This new functionality allows users to define multiple default tolerance tables for a project. 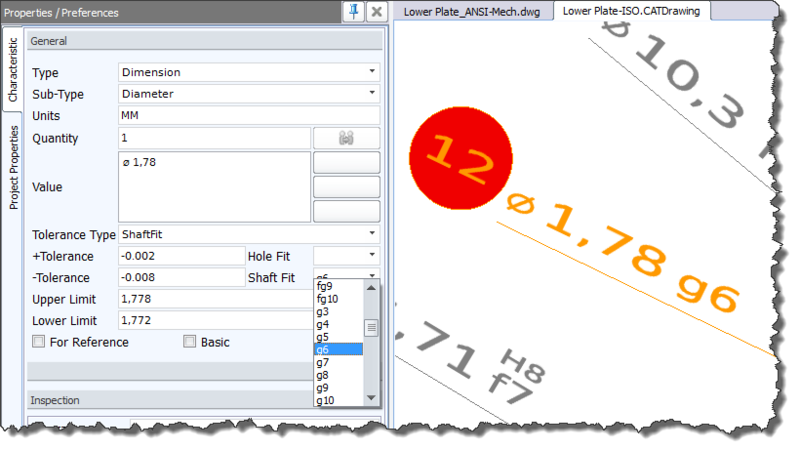 Hole/Shaft fit tolerance options - Users can now apply standard hole & shaft fit tolerances right from the Characteristic panel! Auto-populate BOM from CATIA V5/V6 assembly files - InspectionXpert will auotmatically populate the Bill of Material table when when loading supported CATIA V5 or V6 assembly files. 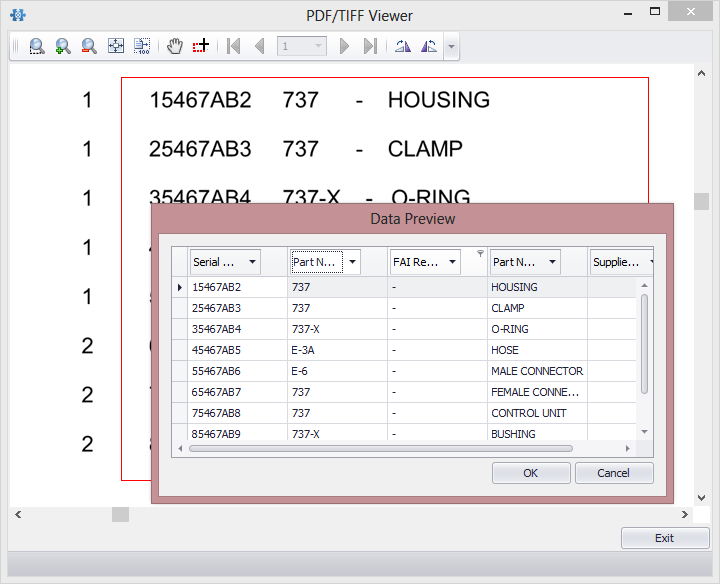 OCR BOM & BOS (Form 1 & 2) data from PDF- Users can import data from Bill of Material or Bill of Specifications documents stored in PDF format using our new ‘Import from PDF’ button to OCR and map the text. Multiple Default tolerances - This new functionality allows users to define multiple default tolerance tables for a project. Additional tolerance table tabs can be added to a project by clicking the add tab button (‘+’) similar to most web browsers. After defining additional tolerances, users may apply to characteristics by using the new ‘Tolerance Type’ drop down menu on the Characteristic panel. Hole/Shaft fit tolerance options - Users can now apply standard hole & shaft fit tolerances right from the Characteristic panel! No longer a need to look up and manually enter these values, just pick the correct hole or shaft fit for the characteristic and InspectionXpert will do the rest. Auto-populate BOM from CATIA V5/V6 assembly files-When loading a CATIA V5 or V6 assembly file (*.3DXML, *.CATProduct), InspectionXpert OnDemand for CAD will now automatically populate the Bill of Material table with any available part information for the assembly subcomponents.